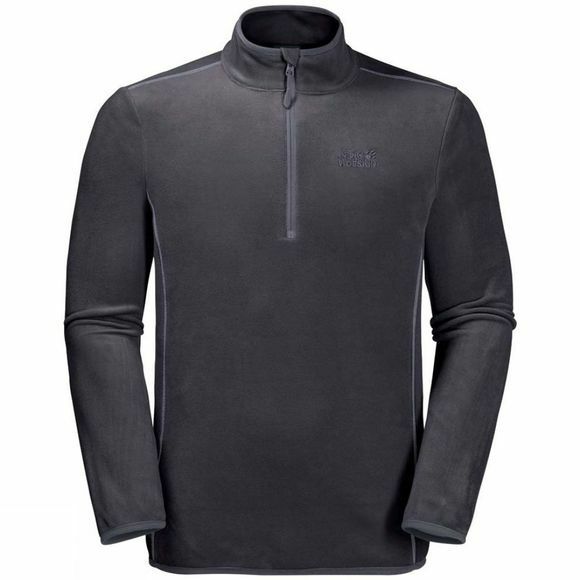 The Mens Echo 1/2 Zip Fleece is a practical, basic fleece pullover suitable for a wide range of activities. The soft Nanuk 100 fleece fabric is made entirely of recycled materials and delivers basic insulation at a minimal weight. The Mens Echo 1/2 Zip Fleece is amazingly versatile. Wear it as a mid layer in your layering system. Or slip it on during rest breaks to stop you getting cold. This lightweight fleece takes up hardly any room in your pack, so it makes a brilliant back-up jacket.